I was asked to participate in another side by side challenge hosted by the lovely ladies of 2 Girls in 2 Cities. 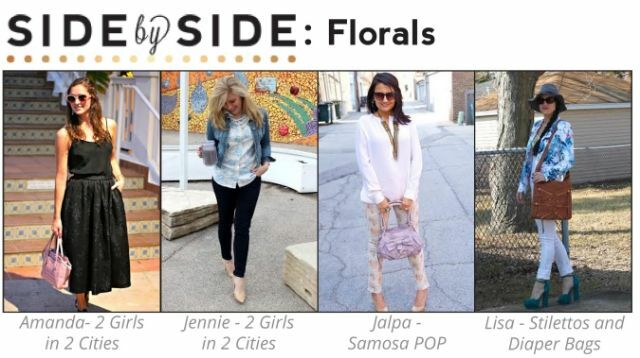 (see last post here) Jalpa of Samosa Pop was the forth to show her floral style and I think we all made it our own. I love how each of these challenges translate into different style and fashion choices but in the end we were all dressing in floral! What do you think of every one's floral looks? Which style is most like your own? It's true, we did each have our own floral looks! Thanks for sharing! i'm short so i always encounter jeans that are too long...hate that! but i just hem and/or cut them off myself. 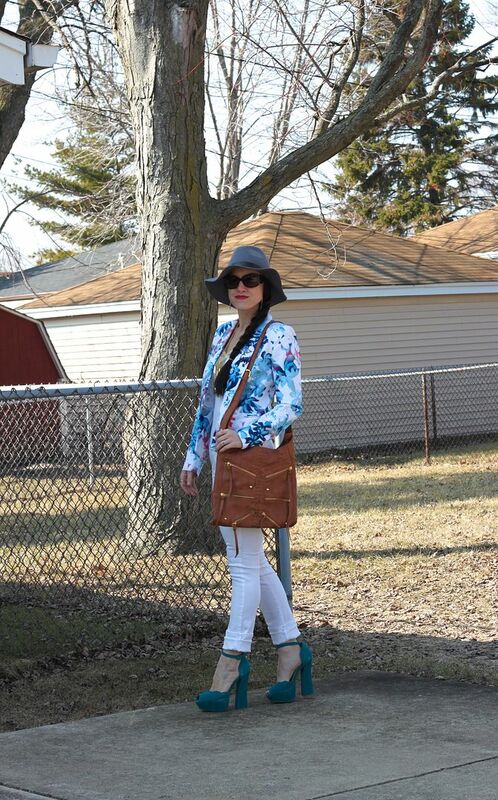 great floral blazer!! !